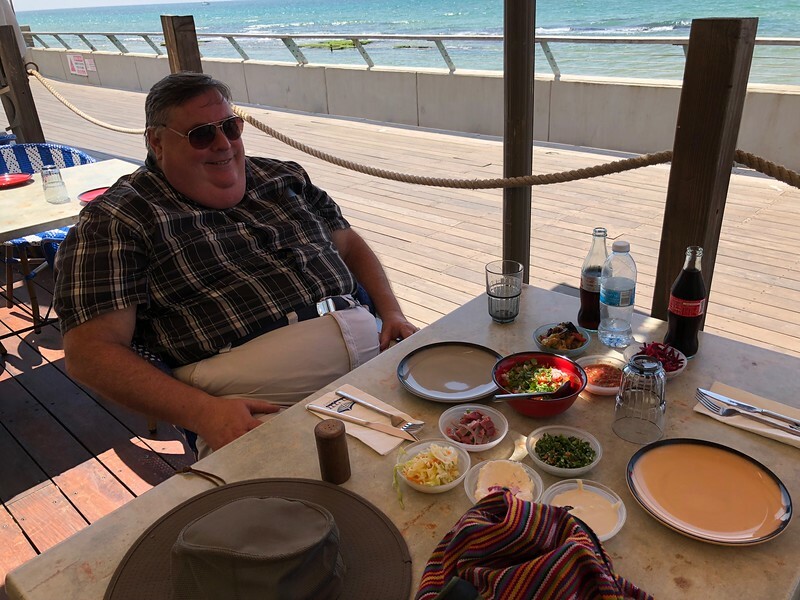 Here is our first meal in Israel. It came with a salad with a variety of small plates (like the Shaya appetizers) with eggplant, cabbage, fish eggs, salmon, etc. Then I had St. Peter’s fish, and guess what Dan chose.